Everyone Knows That Every Profession Has Its Little Tricks Of The Trade, The Makeup Business Is No Different. 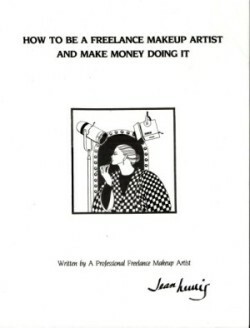 Jean Lewis Is One Of The Top Professionals In The Makeup Business And She Has Written A Very Informative Book In Which She Shares Her Tricks Of The Trade That She Has Used To Become One Of The Highest Paid And Most In-Demand Makeup Artist In The Industry Today. Learn How She Is Able To Sell Thousands Of Dollars Of Her Own Makeup And Skin Care Line To Her Clients Yearly By Teaching And Demonstrating To Them The Proper Use Of Her Products. Her Techniques Are Unique But Easy To Learn, And If You Are Perhaps A Struggling Mary Kay, Avon Or BeautiControl Consultant Or Maybe Even Just A Young Person Trying To Make A Little Extra Money By Selling Avon's New Teen Line, Mark, Then This Book Would Be Perfect Learning Tool For You.